The 30x45 Century Mate Pole Tent has a 1350' area with two center pole (one every 15', 17' height). 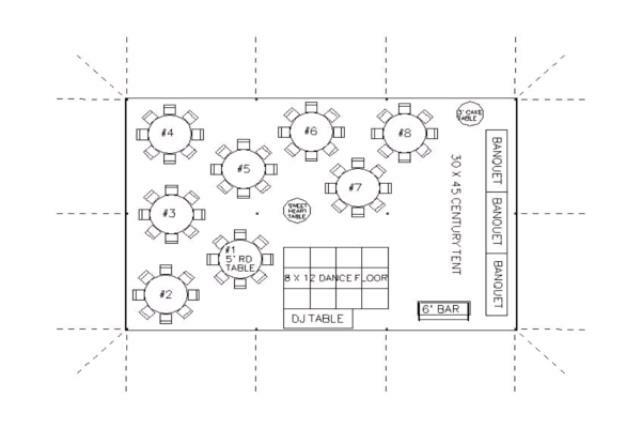 Maximum 12x16 dance floor size due to center poles. 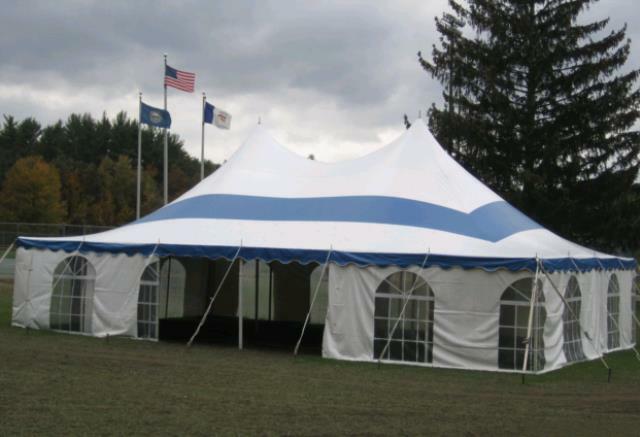 This particular tent option comes with blue and white striping. Lighting and sides rented separately.